Suggested adult usage: 1-2 capsules, 3 times a day on an empty stomach (otherwise with food if not tolerated well). Cat’s Claw is a tropical vine that grows in rainforest and jungle areas in South America and Asia. Some cultures refer to the plant as the “Sacred Herb of the Rain Forest”. This vine gets its name from the small thorns at the base of the leaves, which looks like a cat’s claw. These thorns enable the vine to attach itself around trees climbing to heights up to 100 feet! Considered a valuable medicinal resource, Cat’s Claw is protected in Peru. Although scientific research has just recently begun to explore its benefits, many cultures native to the South American rain forest areas have used this herb for hundreds of years. A powerful immune system stimulant and antioxidant, Cat’s Claw helps encourage healthy cell growth while also helping to reduce inflammation and ease joint pain. 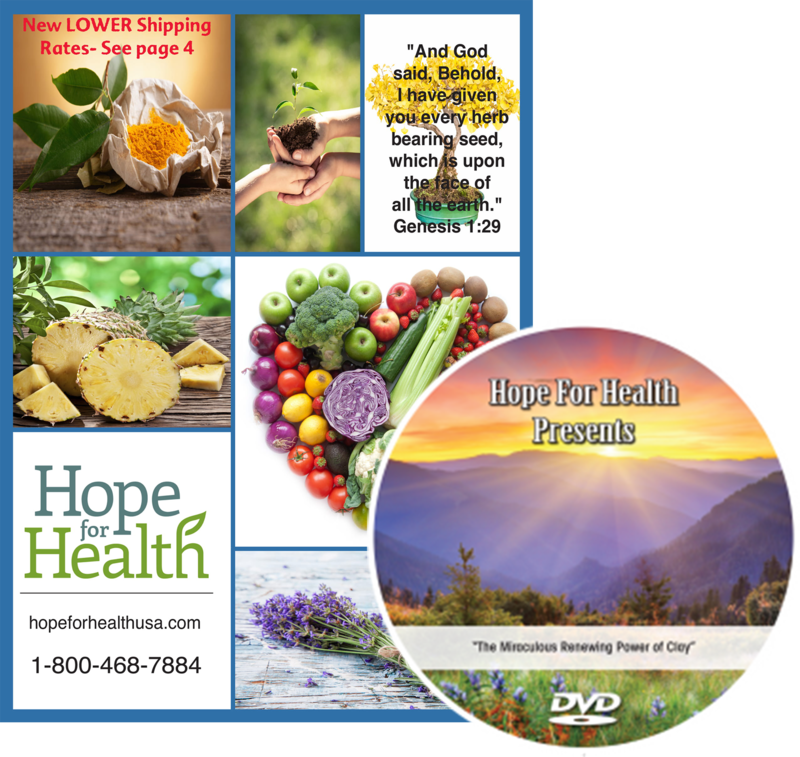 What are some of the great health benefits of Hope for Health’s Cat’s Claw? Has a positive regulating effect on brain neurotransmitters called 5-HT(2) receptors. These receptor sites are targets for drugs used in treating a variety of conditions, including depression, anxiety, eating disorders, chronic pain conditions and obesity. Another significant area of study has focused on Cat’s Claw’s anti-inflammatory properties. While plant sterols and antioxidant chemicals found in Cat’s Claw account for some of these properties, new and novel plant chemicals called quinovic acid glycosides were documented to be the most potent anti- inflammatory constituents of the plant. This study and subsequent ones indicated that Cat’s Claw (and, especially, its glycosides) could inhibit inflammation from 46% up to 89% in various tests. The results of these studies validated its long history of indigenous use for joint pain, as well as for other types of inflammatory stomach and bowel disorders. Contemporary herbalists consider Cat’s Claw to be a natural immunostimulant, enhancing the function of white blood cells. A group of alkaloids found in Cat’s Claw have been documented with immune-boosting properties, with the strongest constituent being Isopteropodin (Isomer A), which increases the immune response in the body and acts as an antioxidant to eliminate free radicals. In fact, Cat’s Claw has been used in Peru and Europe since the early 1990s as an adjunct or supplemental treatment for health problems that target the immune system. Some advocates of Cat’s Claw suggest that the immuno-therapeutic actions of this herb are even superior to those of Pau d’Arco, Echinacea, Goldenseal and Astragalus! The alkaloids (rhynchophylline, hirsutine and mitraphylline) found in Cat’s Claw have vasodilating properties that may have heart and cardio-protective effects by promoting healthy blood pressure and cholesterol levels, improving circulation, and contributing to a healthy heart rate. Many health practitioners have reported successes using the herb for chronic bowel problems. 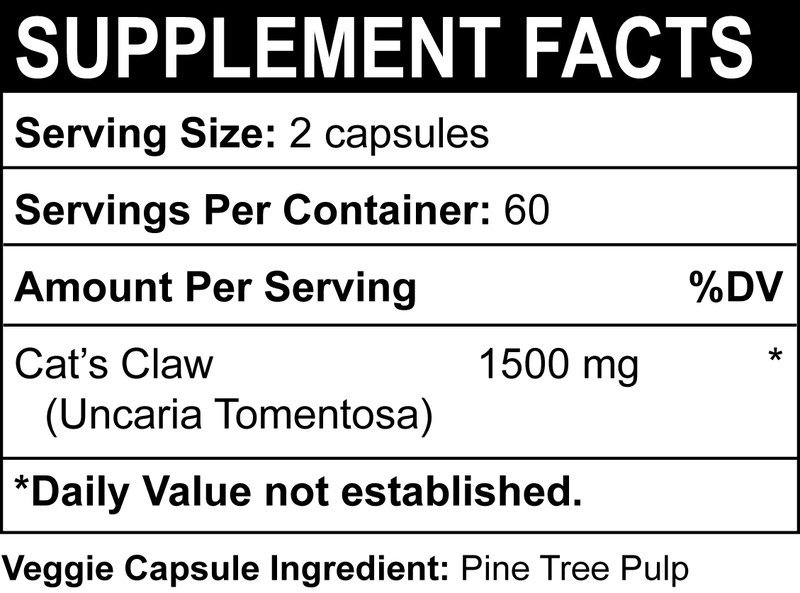 After using Cat’s Claw in working with approximately 150 patients between 1988 and 1992, Dr. Brent Davis reports that “Uncaria tomentosa (Cat’s Claw) has the ability to break through severe intestinal derangements that no other available products can touch.” He refers to the herb as “the opener of the way” because of its remarkable ability to cleanse the entire intestinal tract and help patients suffering from many different stomach and bowel problems. In addition, by cleansing the intestinal walls, Cat’s Claw enables the body to better absorb nutrients, thus helping to correct nutritional imbalances created by digestive blockages. 1. Steinberg, Phillip N., C.N.C., “Uncaria Tomentosa (Cat’s Claw) a Wondrous Herb from the Peruvian Rain Forest,” Townsend Letter for Doctors, May, 1994. 2. “Uncaria Tomentosa (‘Cat’s Claw’): Wonder Herb from the Amazon,” Herb Quarterly, Winter, 1995. “I’ve had amazing results using the Cat’s Claw each day. So far: no more indigestion a couple hours after I eat and I can eat and digest carbs and sugars better! Thanks!” – Karen P.
“I had been recommended Cat’s Claw by my exercise instructor who suffered from joint pain. I too have had joint pain in my knees. After one week, I could feel a big improvement and now after just a month, my pain is gone. I would highly recommend this product for joint pain.” – Susan K.